Bram Kranichfeld of the Vermont Attorney General's Office speaks. Two police officers were justified in shooting a suicidal man last February along Interstate 89 in Richmond, according to the Vermont Attorney General's Office and the Chittenden County State's Attorney. 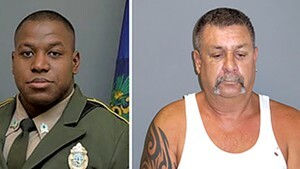 Attorney General T.J. Donovan announced Friday that Vermont State Police Trooper Christopher Brown and Richmond Police Officer Richard Greenough will not face charges for fatally shooting 42-year-old Benjamin Gregware of Sheldon. Donovan called shootings such as this "tragedies any way you look at it." He offered condolences to Gregware's family, as well as the officers involved. Donovan was joined by members of the Vermont State Police and Richmond Police Department, along with Chittenden County State's Attorney Sarah George, who said her office would not press charges and considered the matter closed. with only seconds to act," George said. "A reasonable person would have believed that Mr. Gregware presented an imminent risk of death or serious bodily injury to both themselves and others nearby." On the afternoon of February 11, Gregware, who had been laid off from his job and lost custody of his children, called his ex-wife and threatened to commit suicide. She notified police, who called Gregware. 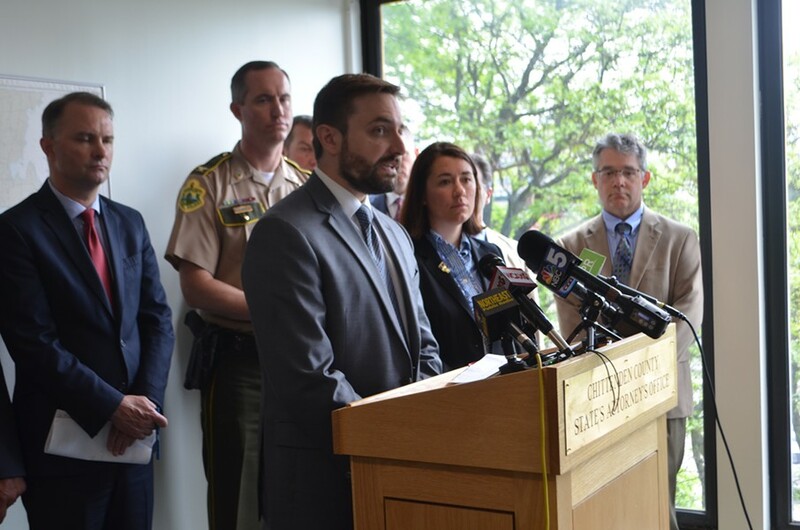 He sounded "slurred and confused but lucid regarding his intention to 'end it,'" according to a description of the incident by Bram Kranichfeld, criminal division chief for the Vermont Attorney General’s Office. The two officers pulled Gregware over in Richmond. Brown ordered Gregware out of the vehicle and commanded him more than 10 times to drop the gun, according to Kranichfeld. Gregware pointed what the attorney general's office referred to as a "MAC-10 style assault pistol" at his own head and walked toward the officers. Gregware, who had no criminal record, never pointed the gun at officers. Brown, who was standing about 25 feet away, fired seven shots from a semiautomatic rifle; Greenough fired five shots from a .40-caliber pistol. Four bullets struck Gregware, in the head, arms and torso, according to Kranichfeld. The Attorney General's Office released three videos of the shooting: One from Greenough's body camera and one each from Greenough and Brown's patrol car dashcams. The videos captured the chaotic scene, which played out in daylight on a Sunday in February, just off the travel lanes of the busy highway. Brown pulled Gregware over and nearly immediately told him to get out of the car. He also yelled at Gregware to "Drop the gun!" Greenough pulled up behind Brown and took up position on the passenger side of Brown's cruiser. Gregware got out of the car with the gun to his own head. Brown backed up, still yelling at Gregware to drop the gun. Both officers opened fire after Gregware took about three steps toward them. Brown fired first, according to Kranichfeld. Gregware tumbled to the asphalt just out of a vehicle travel lane while highway traffic whizzed by. Both officers cautiously approached Gregware and his car before administering medical aid. A few minutes after the shooting, several National Guard soldiers, who happened to be driving by, stopped and helped the officers treat Gregware's wounds. About seven minutes after the shooting, troopers responding to the scene closed the right lane of the highway. An ambulance arrived about 15 minutes after the shooting and took Gregware away. He died about an hour later at the University of Vermont Medical Center. The pistol Gregware held was loaded with 15 live rounds, according to Kranichfeld. The incident marked the third time in six months that Brown had fired his weapon. The trooper was on the agency's Tactical Services Unit, and was one of several troopers who fired on Michael Battles in Poultney in September and Nathan Giffin in Montpelier in January. Both men died and were later found to have been wielding BB guns. Authorities cleared Brown of wrongdoing in each instance. 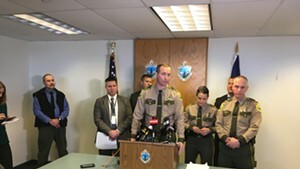 Brown's involvement in the three shootings only "raises red flags because I'm worried about Trooper Brown," State Police Col. Matt Birmingham told reporters Friday, referencing the psychological impact for the shooter. Asked by a reporter why the officers had fired 12 shots, Birmingham said police are trained to "incapacitate until a threat has been neutralized." On a busy interstate in a high-stress situation, officers are likely to miss, he added. 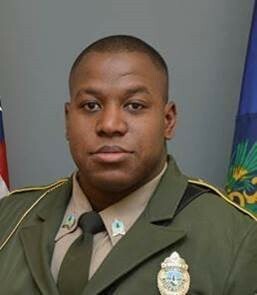 Brown has been on administrative duty since the Gregware shooting, Birmingham said, though the agency would "reassess" the trooper's status following Friday's decision. 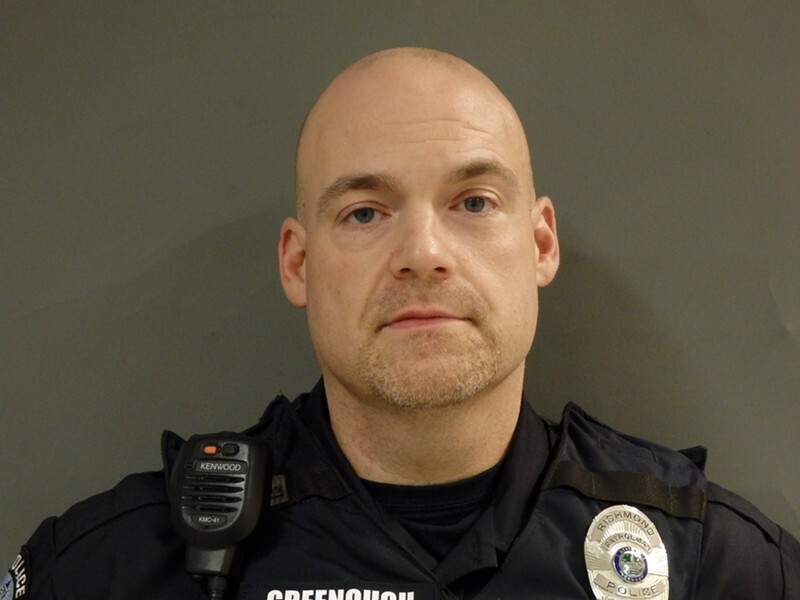 Richmond police chief Alan Buck said Greenough took "several weeks off" to recover after the incident, but has since returned to duty on the town's six-member police force.